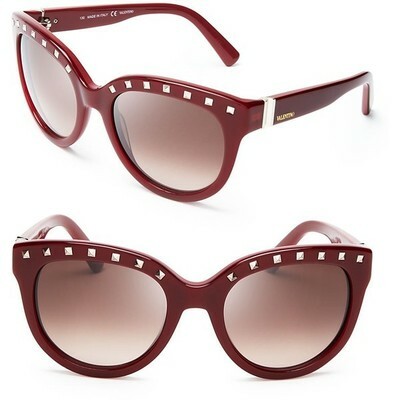 Party like a rock star in Valentino's downtown-cool, oversized shades with sleek stud details. Imported. 100% UV protection. Black/havana frames with brown gradient lenses; Burgundy frames with brown gradient lenses. Silver-tone studs along top of frames; logo at sides. 54 Mm lens width.